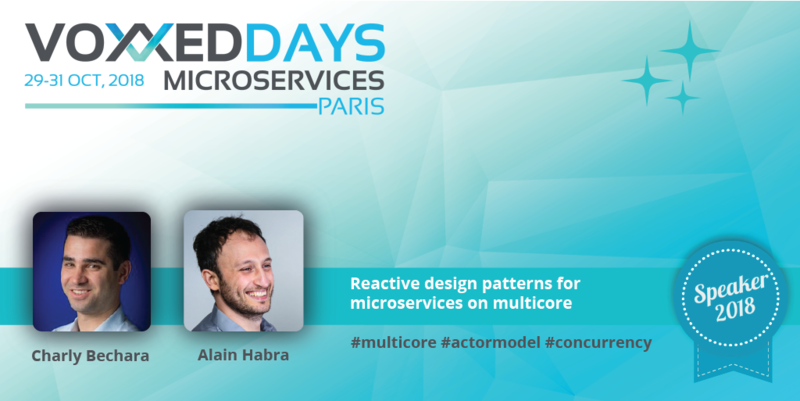 Hi Alain, Hi Charly, tell us who you are and what lead you into microservices? Hi, I am Alain, and I am cofounder and CTO of Tredzone. I worked for 10 years in the capital market industry where I developed high performance software connections to stock exchanges. The main challenge was to deal with low latencies and very high throughput in highly distributed environments. This challenge increased every year with market volumes higher and higher and most of all because of the increasing number of cores in multicore CPU. It became obvious that a proper software solution was needed that’s why we created Tredzone. Our team has been focused on designing scalable ULL (ultra-low-latency) software for capital market industry using microservices architecture and our proprietary “actor-model’ technology: Simplx. In our talk, we will zoom inside one service that runs on multicore. We want to raise the awareness of the audience on the challenges of multicore programming, and give solutions through practical reactive design patterns that focuses on extracting the best performance from multicore and solving real business-cases problems. Our tips and patterns are in production today with Euronext new trading infrastructure, and they will allow you designing a real-time, scalable, and deterministic software, even at microseconds end-to-end latencies! Messaging or streaming platforms usually send messages to distant servers over the network. You’ve decided to send messages between cores and avoid the network. Can your solution scale despite the number of cores? We observe oversized number of machines and cores for a microservice software, and less and less effective utilization of the cores CPU. It is much easier to scale-up then scale-down. In fact, the first level of messaging and streaming starts between the cores, and this has the most impact on the performance of a global microservice architecture, if not managed correctly. Our motto is to scale-down to lower TCO then scale-up with profitability. Our solution adds the missing layer in the technology stack: the multicore layer. It is scalable by nature, since it is based on an asynchronous and message-passing programming model: the actor-model. In addition, we provide a multicore-optimized runtime Simplx and all its development tools (debugger, profiler, etc…). We are excited to meet you all in Voxxed Days Microservices.